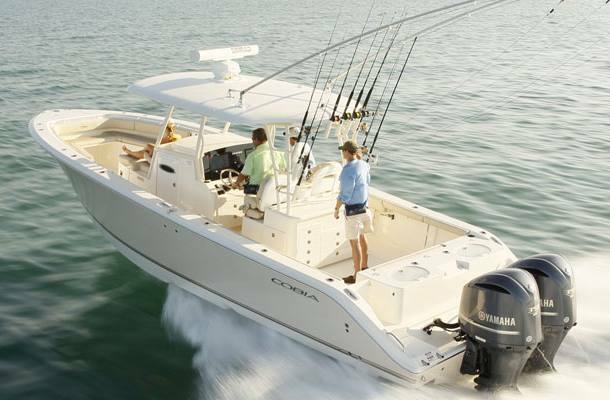 The new Cobia 344 CC blends high performance, luxury and fishing smarts into a stunning package that will impress everyone from the sunset cruiser to the serious tournament angler. The double-stepped hull is fast, yet responsive and easy to drive, and provides a stable platform while at anchor or drifting. A level floor stem to stern makes for sure- footed maneuverability throughout the boat and the 11’2” beam means plenty of space and walk-around room even with a full crowd onboard. 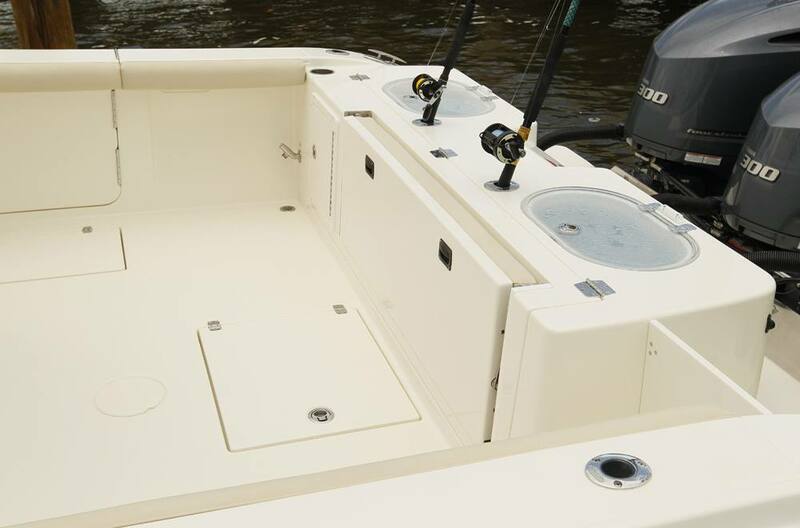 Though the 344CC is elegantly appointed with a console berth and dedicated seating for up to 13 passengers, it’s fully fish ready for the serious angler with below-deck hidden locking rod storage, twin 42-gallon baitwells with optional pressurizing pump box plumbing system and 2 huge macerated in-floor fishboxes. 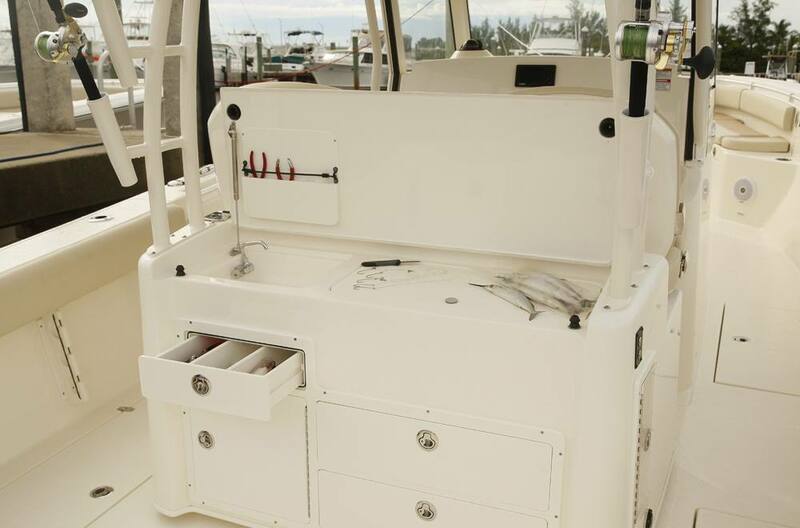 The tackle station has a covered sink and bait prepping area and enough storage space to accommodate rigs and terminal gear for everything from grouper to marlin. 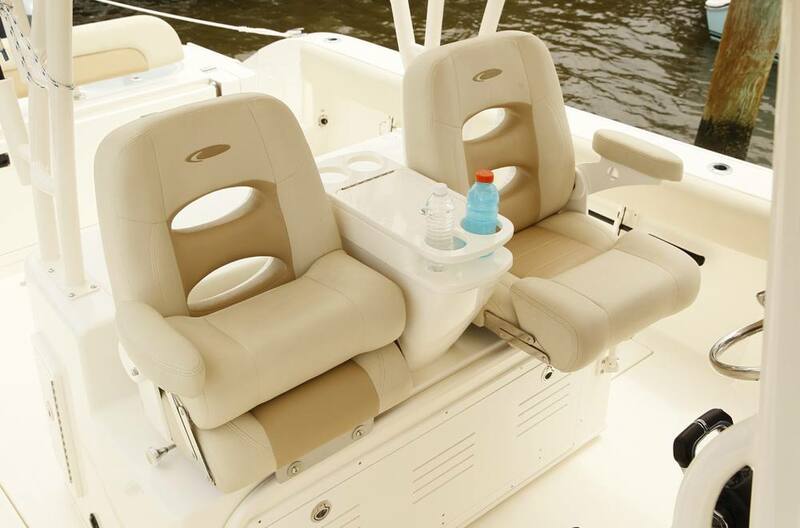 Plus, it’s designed to offer a comfortable rear facing perch for watching baits when trolling. 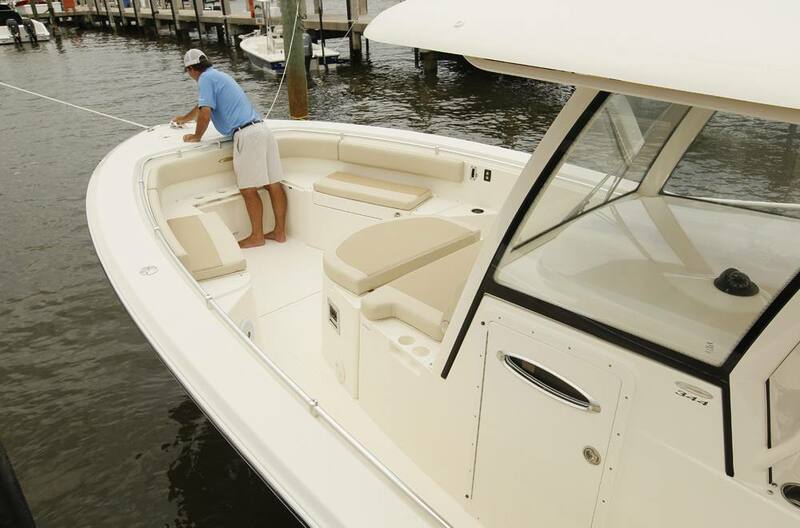 As with the rest of the 344 CC, the helm area is the perfect fusion of form and function. Independent convertible bolsters are spaced between an armrest console that has drink holders and a pocket contents box. 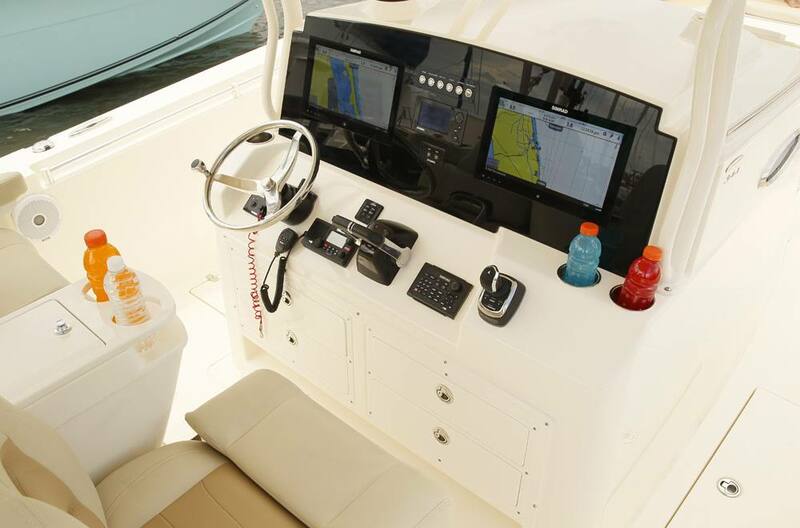 The dash comes standard with Yamaha’s Command link upgrade display and Optimus electric power steering and can be enhanced with the optional master command suite that includes an acrylic infinity dash with twin 16” Simrad units, radar, C-zone electric switching and auto-pilot. Optimus joy stick control and integrated Fusion stereo options round out the latest in command and control offerings. 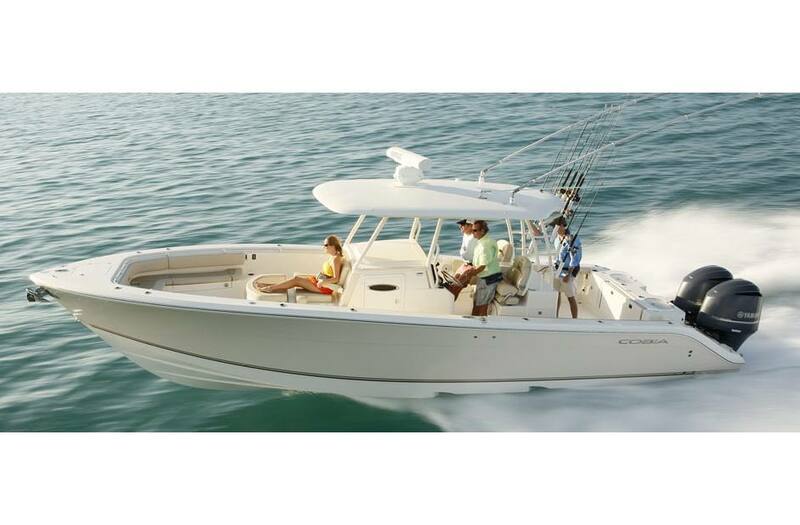 Designed by serious family fisherman for serious family fisherman, the new Cobia 344 CC leaves no one at the dock with a rare combination of elegance, comfort and thoughtful fishing features. 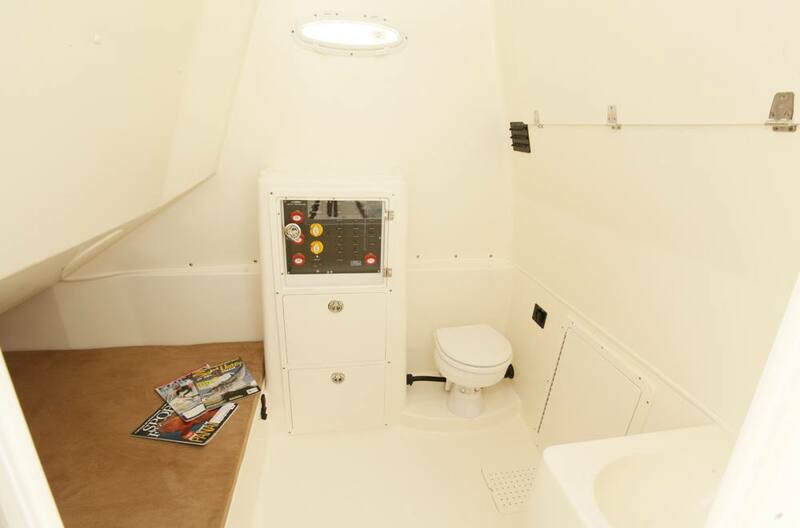 Cockpit square footage: 131 sq ft.
LOA: 34 ft. 4 in. Weight (approx. w/o engine): 8,600 lb.